Gone are the days of SEO dependent on meta tags, meta description, spamming of keywords and irrelevant back-links. With expansion of internet and introduction of smart crawl algorithms, our old known internet is no more the same.It has evolved and in some cases evolved faster then adaptation speed for many of its users. With increase in speed of internet and decreasing in patience of users in terms of time in which content is served to them and along with increasing in screen size, pixel densities and boom on media content, load speed has became one of the strong factor in determining how and how much user will interact with websites. Considering this fact, search engines have smartly integrated this factor in ranking pages along with relevant original content. So today if a website has to jump leaps in search result it not only need good original content but also a faster web-site with efficient and appropriate optimisations. 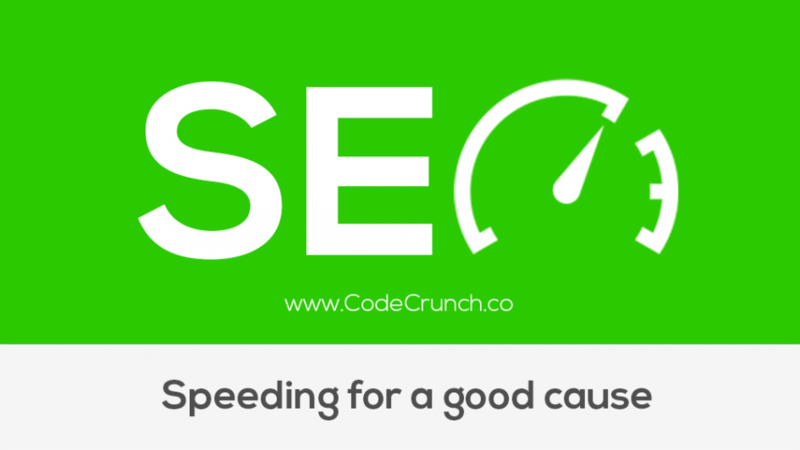 At codecrunch we suggest you following tools in-order to increase your page speed and your SEO. It refers to the time a visitor have to wait until your page is completely loaded. On average, a page load for e-commerce website takes 7 seconds meanwhile the ideal load time is around 3 seconds or less. Webhost – a cheap plan is not always a best deal as it may cost you search ranking ultimately damaging your sales or traction that might have generate revenue more then that of you saved by opting this host. Media Size – Keeping sizes of your images and video in check can significantly improve your speed performance, prefer compressed images- tinypng helps in lossless compression, prefer PNGs over JPGs, and use cut to size image, browser should not work on resizing your images, its your job to ensure it. External embedded media – Try to reduce as much as external request as possible, always prefer to host media on your own server to reduce latency created by external media server. Minify Css – JS – Minifying files help reduce its size and hence help it load fast and compute fast, adding reduction in overall page size and increasing website speed. Theme – some highly designed themes containing a lot of effects can penalized your load page. Here are some of the tools that might be helpful for you to test and improve your page speed. Google Page Speed Insight – This displays a page speed score between 0 and 100 and gives you all the keys and advice to improve your page load. Pingdom – Tool offers a clear overview of your page speed performance and help you know which pages you should optimise in a glance. 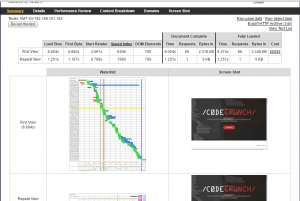 Webpagetest – This tool offers a free speed test providing charts about page speed optimization. Yslow – This plugin quickly shows you how your website is performing and gives you insights to improve your site speed. SEO is a very vast field, as mentioned above in article, now a days it depends on many factors.Here are few tools that might help you in keep those checked. SEO Site Checkup – This site allows you to measure your seo score across various modern factors that affect your seo and suggest the necessary fixes. Webmaster tools – Tool directly from wonder box of search engines like Google webmaster and Bing webmaster. It allows webmasters to check indexing status and optimize visibility of their websites. Analytics tools – Google analytics helps you to keep track on your user behaviours and help you decide better content selection and better optimizations.